Starting their 16-hour summit push in the wee hours of the morning. Congratulations to Adrain Ballinger and the Cho+Everest Team for their successful summit of Cho Oyu this weekend! 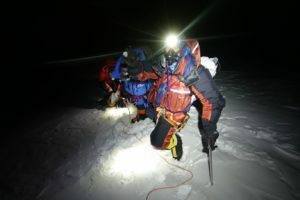 After a heroic 16-hour summit push, a mere 9 days after leaving home, The Cho+Everest team stood atop the 6th tallest mountain in the world (26,906’). 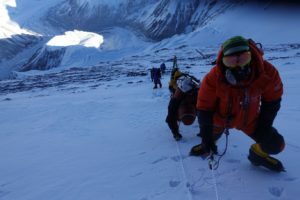 Due to the marginal weather conditions, the team found themselves with Cho Oyu all to themselves. The forecast convinced other teams to fold, while our team calculated the risks and charged up the 9000’ from Advanced Base Camp to summit. Fueled up by the sweet success of summiting, the team descended back down to Advanced Base Camp. The team enjoys a few days of rest before they attempt Everest. A successful summit can’t be celebrated without giving props to our exceptional Sherpa team. Sherpa make rapid ascent, and any ascent for that matter, possible. Our Sherpa team is made up of some of the strongest and most experienced high altitude climbers on the planet. 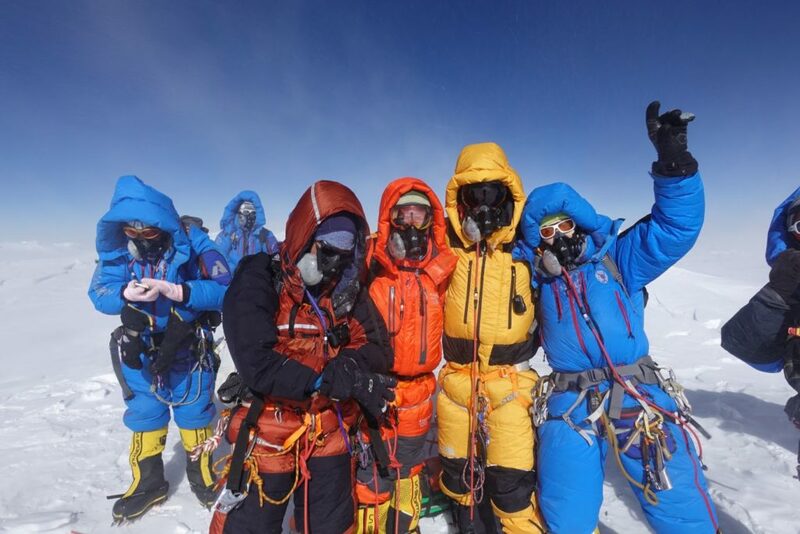 Our team of 15 Sherpa has a combined total of over 100 Everest summits. Now time for some well-deserved rest team!